pictures of eyelet grommets washer eyelet grommets washer application shoes / clothing / curtain / bags and so on. metal eyelet / grommet washer metal eyelet or plastic eyelet are all suitable for bag case, shoes, and many various range .,etc. its nail/adapting usually in aluminum or brass or iron. Focus On Eyelet Over 17 Years, More Than 10000 Customers Choose Kingming THE METAL EYELETS BASIC INFORMATION Item 20MM Plating Engrave Logo Eyelet With Washer For Clothes Material Brass/Iron Color Silver Size 20*5*10mm,as your request MOQ 3000 pieces Logo N/M or upon your request Technology Painting ,Plating ,engraved Sample Free if in the stock,but freight paid by the buyer Payment 1. T/T, Paypal for small order 2. 30% down payments,70% before delivery for bulk order DELIVERY TIME Sample About 3 days Mass Productions 7-15 working days after confirming order OUR ADVANTAGES Price Direct f actory price Quality The most excellent quality with over 15 years r eliable and experienced manufacturer Production 1, Eco-friendly, Nickle&Lead free,we have BV certification 2,Won't change color and rust 3,Design the productions as you like ,ODM and OEM are welcome Lead Time Short time ( 7-15days ) After-Sale Service Provide &ldquo;7 &times; 24h&rdquo; service HOW TO MEASURE SIZE9 WHAT'S MACHINE DO YOU WANT9 Note: All of our products can be customized . You can choose the sizes, materials,shapes, colors,logos what you want . Before quote you the price, we will be appreciated if you can provide the information below: 1.Material & Size 2.Color & Quality 3.Quanlity 4.Product image (you like) If possible ,pls provide the above information to us ,if you are not clearly, we will give you the best advice according to your requirement. USING STEPS Holding the male grommet, with the piercing shaft facing down, place it on the bottom side of the tup grommet die(1). Place the female grommet with the smooth side facing down into the tray on the bottom grommet die(2). (you will have to exert some force in order to fully pierce the material and bond the grommets. We are confident in our products and meeting the requirements that you request. We love our products and very proud of its quality , let's make your unique design to make your brand more valuable. 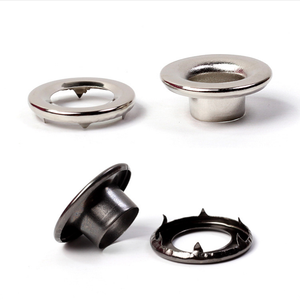 Please do not hesitate to contact us by email, if you are interesting on our Metal brass curtain eyelet ring grommet. FOB Port Guangzhou HuangPu Port / Shenzhen port Customs Production & Order Shipping &Payment : 1. Q: Can you make customized items9 A: Yes, we provide custom service, customers only need to provide their sketches. 2. Q: Does customized items charge extra money9 A: Yes, we will need to make the new molds according to your design, the molds will cost some money according to your design. 3. Q: Should I need to pay the mold cost again when we reorder next time9 A: No, you do not need to pay for the mold again, it will be used for a long time. brass eyelet the eyelet could be used for punching on shoes, bags, pvc flex banner, leather, advertisement, garment and so on. 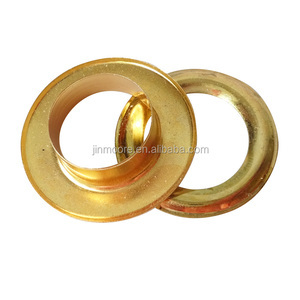 brass eyelet we offer you professional service in fluent english. 2.Since your feedback is very important to our business's development, we sincerely invite you to leave positive feedback for us. It will only take you 1 minute but this 1 minute has the extremely vital significance for us. 3.Thank you for your understanding and looking forward to have a long term relationship with you . as for the related washer part as shown, due to various types, not every washer will be matched with all eyelets properly. for the types, it also comes in a variety of shapes such as standard shape , hem shape , oval shape , pattern shape , etc. 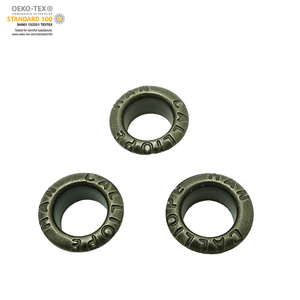 metal flat eyelets and washers -Material: ,BRASS -Color: shiny gold, shiny silver , shiny gun metal etc. Such as resin button ,plastic buttons ,shell buttons ,wooden buttons and acrylic crytal buttons . have many colors and various shapes buttons for sewing clothing ,embellishing toys and handicraft. Shenzhen HDE Garment Accessory Co;ltd is the most professional manufacturer making garment, fabric cover button, snap button, prong snap button, cloth button cover machine, mould etc. Any questions pls do not hesitate to ask!!! Premium Quality Solid Brass Grommet Kit with Washer,Backer Block Wood etc. solid brass grommet kit used for repairing canvas,tarpaulins,tentsawnings,sail clothes,bags,pool cover etc. these metal grommets are used to mechanically protect sharp edges of drilled or punched holes.grommets are used to reinforce holes in leather, clothing, shoes, and other fabrics. 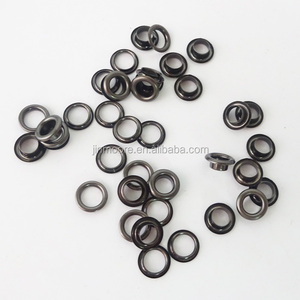 Alibaba.com offers 333 eyelet grommets washer products. About 75% of these are garment eyelets, 5% are buttons, and 1% are washers. A wide variety of eyelet grommets washer options are available to you, such as antique brass, nickel, and black nickel. You can also choose from nickel-free, dry cleaning. As well as from eyelets, buttons. 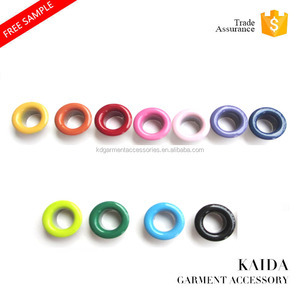 And whether eyelet grommets washer is free samples, or paid samples. There are 331 eyelet grommets washer suppliers, mainly located in Asia. The top supplying countries are China (Mainland), Taiwan, and Turkey, which supply 87%, 6%, and 3% of eyelet grommets washer respectively. Eyelet grommets washer products are most popular in North America, Western Europe, and Mid East. You can ensure product safety by selecting from certified suppliers, including 36 with ISO9001, 13 with ISO14001, and 10 with Other certification.